One of the best things you can do for your videos is to transcribe your interview, which makes the story edit so much better. Basically, you transcribe the interview, and then copy and paste the best pieces of the interview and arrange them into a story in any text editor. After that, you start laying those interview pieces down in Final Cut, smoothen the transitions, and voila, the radio edit of your video. I think the transcription method is superior to paraphrasing interview segments for a “paper edit” – which doesn’t allow as much precise storytelling as a full transcription. For the transcription, I whole-heartedly recommend getting a vPedal. 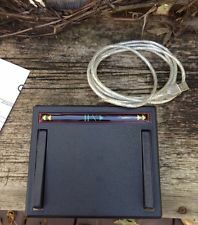 The vPedal is essential for use with closed captioning software, like InqScribe and MovieCaptioner, and costs about $75. 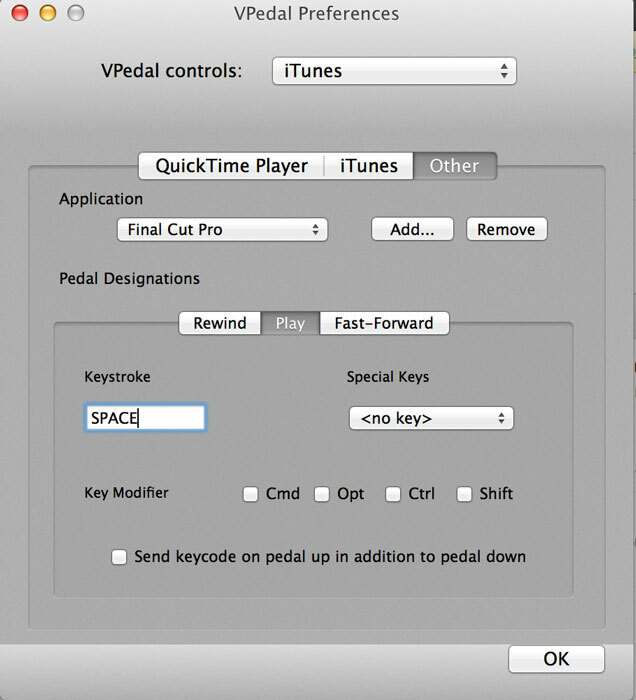 But more than that, with the Mac vPedal app, you can control Final Cut Pro X with the pedal, while writing in TextEdit or any word processing program. The setup is super easy. The goal is to Play/Pause a FCPX project that has your interview clip(s) in it, while typing the contents of the interview in TextEdit. Then you blade the clips in between questions asked (or other major pauses), and rename the clips with the full contents of the paragraph of text. 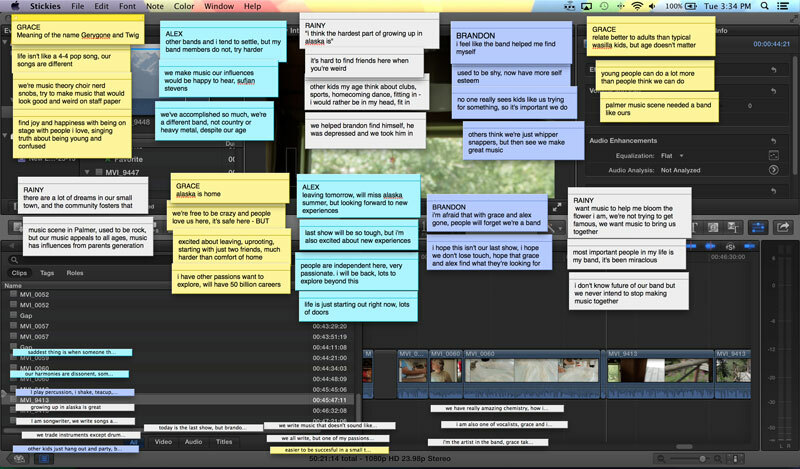 Cutting the interview into paragraphs of thoughts makes finding the precise sentence or word easier. But what if you don’t have a vPedal? I’ve been trying to figure that out for a while now, so I can transcribe interviews at home or on-the-go when I don’t have the pedal around. And here’s what I’ve come up with. The CAPS Lock key is the best option for playing and pausing, at least for me, but you could certainly pick other keys. Step 1: Download PCKeyboardHack – after installing, open the program, check “Change Caps Lock” on, and then under “Keycode” enter in 101, which is the F9 key. By default, my Mac OS didn’t have F9 attached to any hotkey, so it was the easiest “empty” hotkey to pick for me. So at this point, the CAPS Lock key is now a shortcut for “F9,” which does nothing, yet. Then save this script, call it “FCPX Play Pause” or something. Step 3: Download Quicksilver – after installing, go into “Triggers” and create a new trigger, have it run your Applescript you just created, and assign hotkey F9 to it. That’s it! Now while you’re typing in Textedit, you can press the CAPS Lock key to Play/Pause your interview project in FCPX. This is my first Applescript ever, so it’s pretty rudimentary – so if you have a better way to play/pause FCPX while it’s running in the background, please let me know! If you use a different editing program or word processor, you could try substituting that application in the Applescript, assuming that the spacebar plays/pauses in your editor. And finally, when you’re done transcribing, make sure to close Quicksilver and turn off the CAPS Lock option in PCKeyboardHack, so you can have your Caps lock button back.